Baroque opera, version: Brno, Teatro della Taverna (today: Reduta), 1734 & 2014. Saturday6 September 2014 20:00 — Staged performance. Floral garden (at the Rotunda), Archbishop’s Chateau, Generála Svobody, CZ–76701 Kroměříž. Ancient myths fascinated artists of all genres throughout the centuries, including opera composers and librettists. After all, the history of opera is intertwined with love, tragedy, a desire for revenge or heroic acts. And this is good, because what else but music and the perfect instrument — the voice — can express even the softest emotions, passion or inducements. 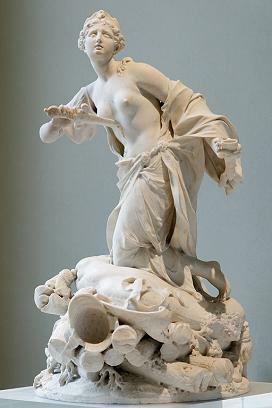 The tale of the tragic love of Dido, the proud queen of Cartaghe, to the Trojan hero and mythical founder of Rome Aeneas, became an inspiration for many works of art. One of the first adaptations was the epic poem Aeneid by the Roman poet Virgil. These two unfortunate lovers joined the world of opera in its very beginning and they became its essential part. Some of the operas belong to the most significant pieces in operatic history, such as Dido and Aeneas by Henry Purcell or later Les Troyanes by Hector Berlioz. And it was the libretto Didone abbandonata (Abandoned Dido), which stood at the beginning of the career of the Italian librettist Pietro Metastasio (1698–1782), a dramatist without whom we cannot even imagine the history of opera. His Didone abbandonata has been set to music more than sixty times; the first music adaptation was by the Neapolitan composer Domenico Sarri (1679–1744). Sarri’s opera was premièred on 1 February 1724 in Teatro San Bartolomeo in Naples as his sixteenth opera; it is considered to be a significant example of his prime compositional period. 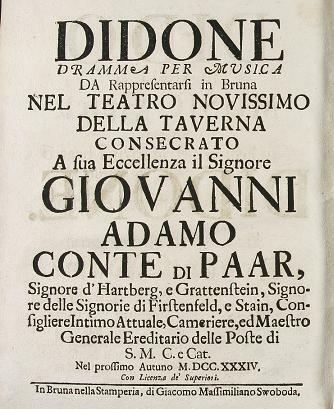 Didone abbandonata was well received, it became a favourite title in Italian opera houses and in the year 1730 it was performed in a different version in Venice. It is said that music knows no borders. A proof of this saying is the multitude of scores in Moravian archives by the star composers of the 18th century, such as Leonardo Vinci, Francesco Feo or Domenico Sarri. Some of these compositions were performed in Moravia right after their Italian premières, which shows the continuous cultural exchange with Italy and also the close ties between Moravia and the homeland of opera itself. 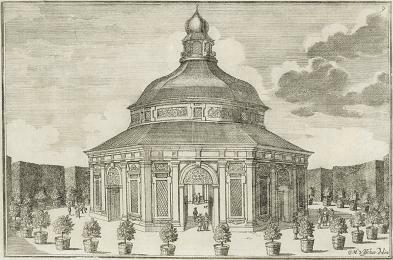 In autumn 1734, Domenico Sarri’ Didone abbandonata was performed in Brno by Angelo Mingotti’s opera company, in the theatre in the Tavern which stood on the site of today’s Reduta. You can find further information about the 1734 performance, the Teatro della Taverna and about the significance of Angelo Mingotti’s opera company here. The art of past centuries is an important part of our existence, it is the root from which we have “emerged” and which can give us an idea about the world of our ancestors. This is undoubtedly one of the reasons why 18th century operas are becoming more and more popular nowadays. Performing baroque operas with a historically informed interpretation is an important trend of ensembles from all around the world and this is why, despite the gap of almost three centuries, Sarri’s Didone abbandonata brings an insight into the culture of our ancestors as seen by the current generation of artists. The realization of the opera in 2014 is not only a musical event, but also a practical result of the latest scholary research by a team of specialists from academia, museums and independent environments. After 280 years, they have reconstructed the scores of the version of the opera which sounded in Brno in 1734. Its structure is based on the preserved libretto of the Brno performance. Most of the music has been derived from the Venice version, only a part of the recitatives had to be newly composed. The team behind the creation of this edition is formed by Jan Čižmář (Hudební lahůdky, o.s. ; Janáček Academy of Music and Performing Arts; Institute of Musicology, Masaryk University), Patricie Částková (Opera na Cestách, o.s. 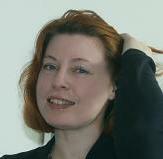 ; long-term dramaturg of the National Theatre in Brno) and Jana Spáčilová (Department of the History of Music, Moravian Museum; specialist on the Italian baroque opera in Moravia). The project was established as a cooperation between the civic associations Hudební lahůdky and Opera na cestách, Masaryk University, Brno, the Polish association Art in Motion and the National Theatre Brno. Didone, the queen of Carthage, promised her hand to king Iarbas, but fell in love with the Trojan hero Aeneas, whose ship wrecked on the shores of Carthage. Iarbas comes to the queen’s court dressed as a messenger, Arbace, to warn the queen that Aeneas cannot become the king of Carthage, and asks her to marry him. Didone refuses Iarbas’ proposal and announces the forthcoming marriage with Aeneas. Aeneas is in love with Didone, but nonetheless he asks her sister Selene to tell the queen about his plan to leave Carthage and embark on a voyage to Italy, as this is his fate, foretold by the gods. Iarbas tries to cause a war conflict, but is defeated by Aeneas. Didone tries to persuade Aeneas to stay in Carthage and marry her, but Aeneas is convinced to enter the predestined path and leaves the city. Carthage is destroyed and the devastated Didone commits suicide. Andrea Široká (Didone) is soloist of the opera of the National Theatre Brno, where she performed in many roles, such as Xenia (Mussorgsky: Boris Godunov), Frasquita (Bizet: Carmen), Berta (Rossini: Il barbiere di Siviglia), Adele (Strauss: Die Fledermaus), Volpino (Haydn: Lo speciale), Clorinda (Rossini: La cenerentola), Barbarina (Mozart: Le nozze di Figaro), Esmeralda (Smetana: Prodaná nevěsta), Titania (Britten: A midsummer night’s dream). 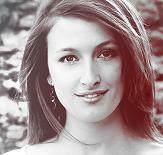 She also performs Czech and international song repertoire and pre-romantic sacred music. The countertenor Armin Gramer studied at Vienese Conservatories with Margarita Kyriaki, Helga Meyer Wagner and Julia Conwell. He visited courses with Luke Stardust Quartett, with Richard Wistreich at the International Summer Academy in Innsbruck, and masterclasses with Paul Esswood and Angelika Kirchschlager. He has performed in many operas, Volksoper Wien, Kammeroper Rheinsberg, Schlossfestspiele Wernigerode, Bayerische Staatsoper München, Theater an der Rott, Sirene Operntheater, Theater Konstanz, Wiener Kammeroper, KunstFestSpiele Herrenhausen, Sydney Festival, Tongyeong International Music Festival (Korea), Budapest Baroque Festival. Armin Gramer is laureate of the “musica juventutis” competition (Wiener Konzerthaus) and of the competition of Kammeroper Rheinsberg. The baritone Roman Hoza (Iarbas) is a student of the Janáček Academy of Music and Performing Arts in Brno and also continues with his studies at Universität für darstellende Kunst in Vienna. He participates regularly in courses focused on the interpretation of Early Music (Summer School of Baroque Music, Holešov; masterclass with Evely Tubb). He won the international competition for chamber and sacred music in Olomouc (2010). He also participated in chamber opera productions within his studies at the Janáček Academy — Giulielmo (Mozart: Cosi fan tutte), Don Giovanni and Bartola (Rossini: Il barbiere di Siviglia) in the Silesian Theatre in Opava. Dominika Doniga (Selene) vyštudovala operný spev na VŠMU v Bratislave a na AU v Banskej Bystrici. Barokovú interpretáciu študovala v roku 2010 na Instituto superiore di studi musicali G. Briccialdi di Terni (IT) v triede Glorie Banditelli. Od roku 2008 pôsobí ako hosťujúci umelec v Štátnej operev Banskej Bystrici (inscenácie Krútňava/Marka, Veselá vdova/Valencienne, Cosi fan Tutte/Despina, Cárovič/Máša, Macbeth/Dáma) a od roku 2012 v Štátnom divadle v Košiciach (Gianni Schichi/Nella, Ariadna na Naxe/Echo). Venuje sa experimentálnemu divadlu a performance. Je autorkou, režisérkou a performerkou experimentálneho divadla OMYLOM, ktoré bolo v roku 2014 vybrané na festival nového divadla a tanca KioSK v Žiline. Účinkovala v projekte Divadla letí Proti pokroku, proti láske, proti demokracii s premiérou v galérii DOX v Prahe (jún 2014). Venuje sa práci s hlasom, ako hlasový kouč spolupracuje s Divadlom s Pasáže s handicapovanými hercami a s Bábkovým divadlom na Rázcestí. Vyučuje operný spev na Konzervatóriu v Banskej Bystrici. Je členkou Presse musicale internationale, medzinárodnej asociácie hudobných kritikov so sídlom v Paríži. Marek Olbrzymek (Araspe) absolvoval zpěv na Janáčkově konzervatoři v Ostravě ve třídě Vlasty Danielové a poté na Janáčkově akademii múzických umění v Brně u Anny Barové. Jako sólista účinkuje na scénách Národního divadla a Městského divadla v Brně a Národního divadla moravskoslezského v Ostravě. Vedle koncertní spolupráce s filharmoniemi ve Zlíně, Teplicích, Brně, Ostravě a Hradci Králové se věnuje také interpretaci staré hudby, kterou se zabýval nejen na četných kurzech, ale zejména na Vysoké hudební škole v německém Trossingenu. V letech 1999–2003 se pravidelně účastnil vokálně-instrumentálních projektů Barokní akademie ve francouzském Ambronay a v roce 2003 pak operního festivalu v Aix-en-Provence s produkcí Janáčkovy opery Příhody lišky Bystroušky. Vystupoval na divadelních scénách a koncertních pódiích v řadě evropských zemí (Polsko, Německo, Švýcarsko, Belgie, Francie, Španělsko atd.) v USA a Japonsku. Pro vydavatelství Vienna Modern Masters nahrál dvě operní díla americké skladatelky Nancy Van de Vate: Nemo a Na západní frontě klid. V roce 2010 natočil pro Český rozhlas Janáčkův Zápisník zmizelého v instrumentální úpravě Miloše Štědroně. Je členem vokálně-experimentálního souboru Affetto a rockové skupiny Kontrolla. 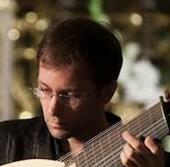 Václav Cikánek (Osmida) gives concerts regularly in many European countries, e.g. Germany, Switzerland, France and Italy. 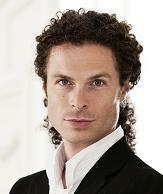 In the Czech Republic he performs with the ensembles Laetitia Praha and Ensemble Canto. As a soloist he sings with the Dvořák Chamber Choir and the Musica Academica orchestra, or with Piccolo coro & Piccola orchestra, with whom he performs at sacred music concerts. He participated successfully in several international singing competitions, e.g. Karlovy Vary, Trnava, the festival Ad honorem Mozart Praga, and Iuventus Canti. His repertoire includes classic tenor compositions by renowned Czech and international composers of operatic and sacred music. Patricie Částková graduated from the Janáček Academy of Music and Performing Arts, in the subject of opera production. In the years 1995–2013 she was the dramaturg of the Janáček Opera of the National Theatre Brno, where she participated in more than seventy opera productions (e.g. Salome, Idomeneo, The Cunning Little Vixen, The Excursions of Mr. Brouček to the Moon, Mefistofeles, Rusalka, War and Peace, Julietta) working with stage directors such as prof. Pamela Howard, James Conway, Vladimír Morávek and others. She is co-founder of the Janáček Brno International Music Festival 2008 and co-founder of the educational project Nebojte se divadla! Don’t be scared of the theatre! She also works as a lecturer. Jan Čižmář studied lute at the Royal College of Music in London and at the Royal Conservatory in The Hague, and musicology at Masaryk University in Brno. As theorbist and continuo player he has performed with leading orchestras and conductors such as the Royal Concertgebouw Orchestra, Orchestra of the 18th Century, Orchestra of the Age of Enlightenment and the Bach Akademie Stuttgart. Among his numerous experiences with opera performances are participation in the project Dido and Aeneas / Acia and Galatea at the Royal Opera House, Covent Garden, conducted by Christoper Hogwood. He is the founder and artistic director of the Early Music concert series Hudební lahůdky (Musical Delicacies). His musical vision emphasizes the authenticity and close links with the history of a venue, while also considering the current audience and the world of the 21st century. Koncertní mistryně Esther Neumann vystudovala obor hra na housle na Wiener Universität für Musik und Darstellende Kunst a obor hra na barokní housle na Anton Bruckner Privatuniversität Linz ve třídě prof. Michi Gaigg. Ve studiu dále pokračovala u prof. Lucy van Dael v Amsterdamu a ve třídě Petry Müllejans ve Frankfurtu nad Mohanem, kde studovala obor historické hudební interpretace. Působila v řadě rakouských symfonických orchestrů, se kterými se zúčastnila turné po Evropě a Asii. Nyní působí jako koncertní mistryně v několika rakouských i německých barokních orchestrech. Je také členkou barokních orchestrů, jako jsou např. Freiburger Barockorchester, Ensemble Continuum, Enseble Suavissima Christo, Academia Montis Regalis v Itálii, L’Orfeo Barockorchester. Jako houslistka těchto orchestrů se podílela na vzniku řady nahrávek barokní hudby a mnoha operních produkcích. Mimo interpretaci barokní hudby se rovněž věnuje repertoáru z období romantismu a je zakladatelkou orchestru Originalklang!Orchester. This project is realized with financial support by the Ministry of Culture of the Czech Republic, the State Cultural Fund of the Czech Republic, the South Moravian Region, the Statutory City of Brno, the City of Katowice, the Polish Institute in Prague, and the Czech Centre in Warsaw. The fabrics for the costumes were supplied by Kolovrat, ČM s. r. o. The music typesetting of “Didone abbandonata” was performed by Milan Kolář.